Canada has been one of the most progressive countries when it comes to recognizing the legitimacy of bitcoin as a currency. Compared to the United States, the Canadian government has made it clear that they approve if citizens want to buy bitcoin in Canada. 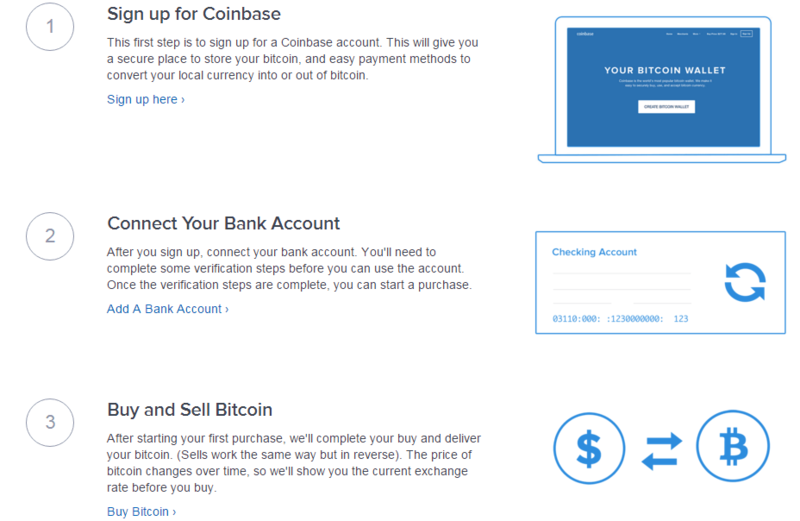 Coinbase.com is the easiest way for most people to buy their first bitcoin. Based in the US, Coinbase is regulated like a bank and is widely known as one of the most trusted places to trade bitcoin. Coinbase also offers a new user bonus of $10 in FREE bitcoin once you have purchased a minimum of $100 worth. Coinbase lets Canadian citizens buy bitcoin via Bank Account, Credit Card or Debit Card. Due to the slow nature of banks, it will take up to 5 business days to receive your bitcoin, but once you place an order the price is you pay is guaranteed! Whaleclub.co: Trade BTCUSD with up to 10x levreage. 20% bonus on first bitcoin deposit. OKCoin.com: Trade bitcoin futures derivatives with up to 20x leverage. 1Broker.com: Use bitcoin to trade forex, commodities, stocks & indices with up to 200x leverage. LocalBitcoins.com is an alternative way to buy bitcoins in Canada. Instead of depositing CAD to an online exchange, you use localbitcoins to find a seller near you in Canada. They have a feedback system similar to Amazon or Ebay to help you decide who to buy from, then how to pay for the bitcoin. Most bitcoin sellers ask for a cash deposit to you local bank, or to meetup in person to exchange the cash. There is often a price markup when buying through localbitcoins but it can be worth the premium to not have to rely on wire transfers from banks. CoinMama.com is the fastest way to buy bitcoins with a credit card in Canada. It’s as easy as shopping online. Punch in your credit or debit card details then choose how much you want to buy. There is a slight markup above market prices when you use Coinmama but it is perfect if you need to buy a smaller amount bitcoin instantly. You will experience that same markup at most Bitcoin ATMs.